As I'm not very good at applying eye shadow, if I'm going out somewhere or just want a slightly more interesting or dramatic eye look I usually go for some coloured eye liner, with my colours of choice using being a turquoise or teal kind of shade. 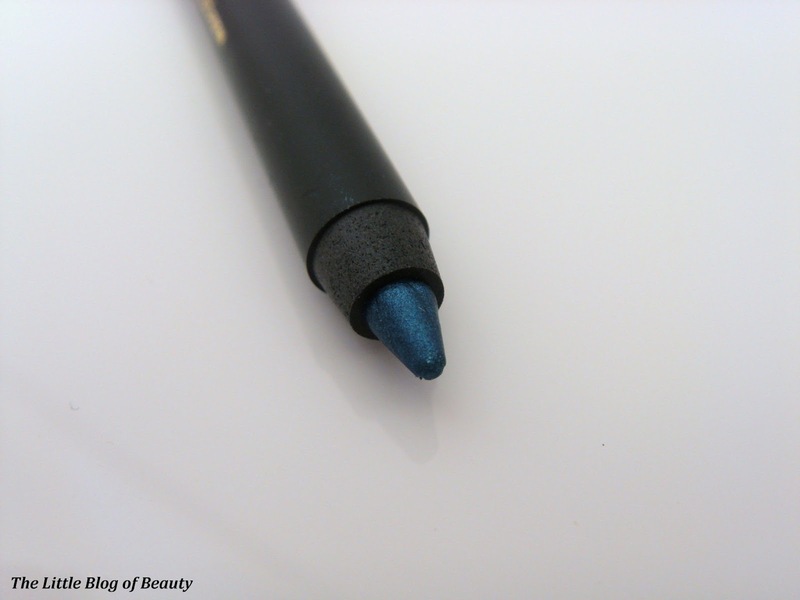 When I was offered the opportunity to try one of Eye of Horus' newest products I decided to go for their Goddess eye pencil* in Teal Malachite. 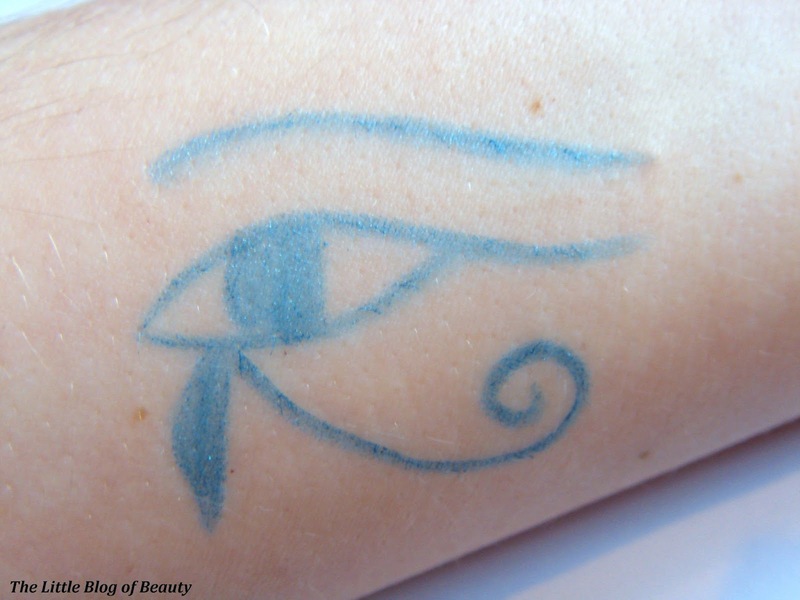 Eye of Horus is an Australian brand that has recently launched over here in the UK. Their products are paraben free and contain as much natural content as possible with the Goddess pencils containing ingredients such as Beeswax, Candellia and Carnauba wax. The packaging is gorgeous and obviously Egyptian inspired, with the products themselves being based on makeup used by the Egyptians. 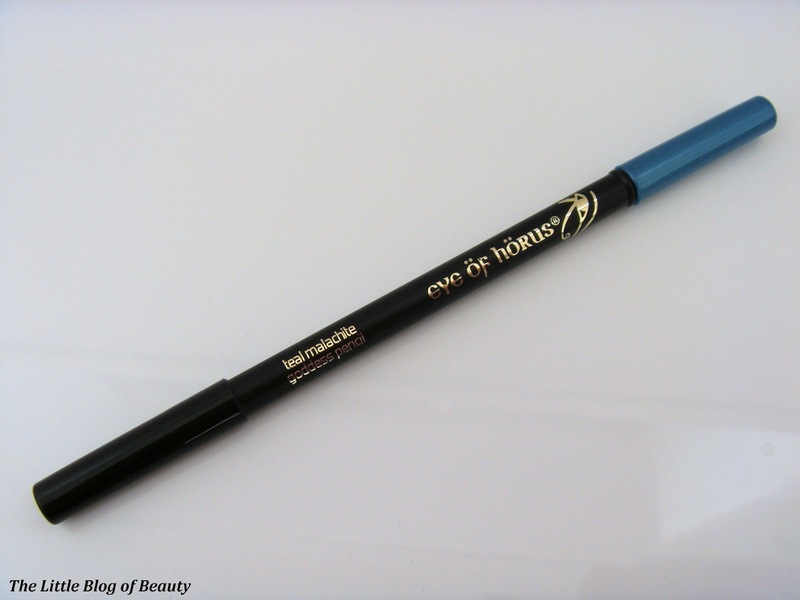 The Goddess pencil is dual ended with the liner on one end and a smudger on the other. The lid on the smudger end is colour coded to represent the colour of the liner. The first time I gave this a try I applied it in the waterline. I checked back a couple of hours later to see how it was holding up and found that most of it had gone apart from along the very outside along my lash line. To be completely honest though this doesn't surprise me as my eyes can be quite watery and whatever eye liner I apply there I usually have to top up every so often. The next time I tried this I applied it on my eyelid. Although this is quite soft I did find that it snagged slightly on my skin, but as I've mentioned before I do have a lot of excess skin in my eyelids which makes applying eye liner difficult. Once this warmed up slightly on my skin it became easier to apply and I was away. Once this was in place I found that it stayed put and this was still perfectly intact when I went to remove it around 6 hours later. Although it did stay in place well it was still easy to remove with good old Bioderma. 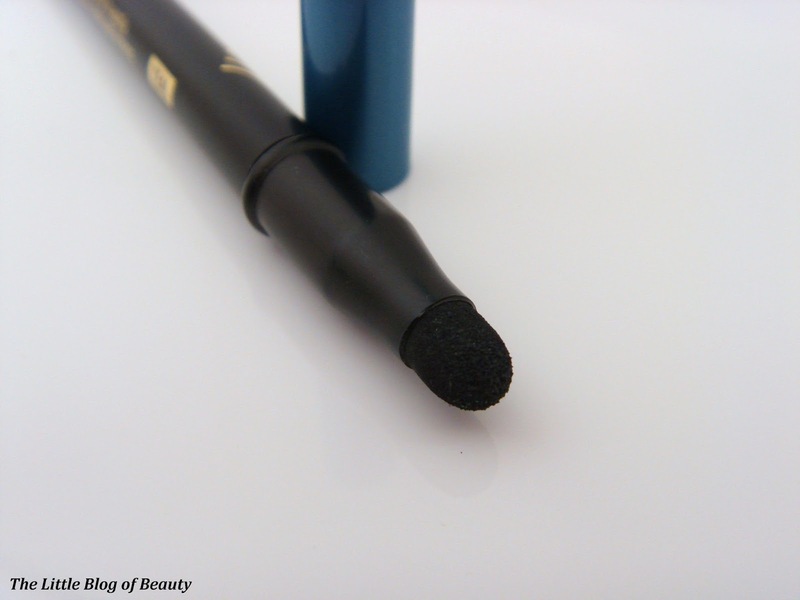 This really is a gorgeous colour and is just the sort of colour I would usually go for in an eye liner if I'm not looking for a standard black shade. 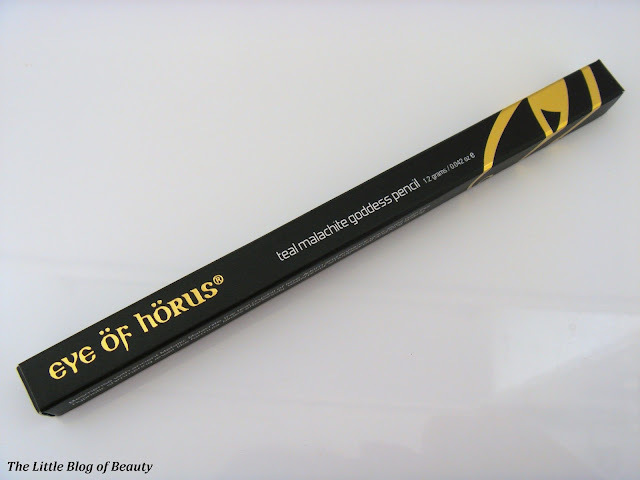 Eye of Horus products are available from their website and the Goddess pencil is available in a range of colours for £13 each. 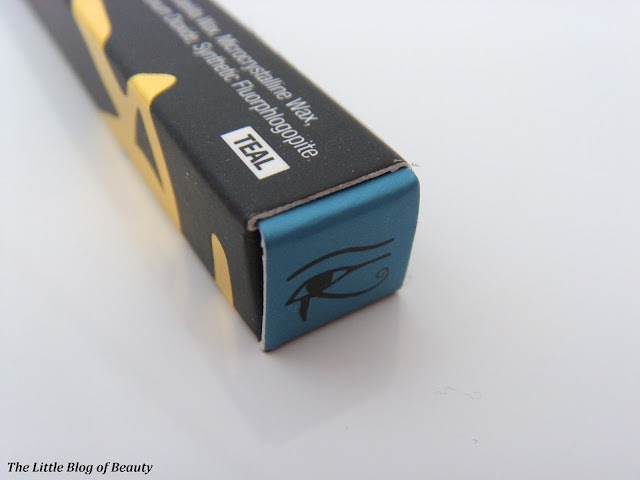 Would you consider giving an Eye of Horus product a try? gorgeous shade! i am a bit addicted to teal products x Now following you! Thank you for sending me your blog link in the chat on sunday :) I have now followed you on Bloglovin' and can't wait to read more! The shade looks gorgeous although I'm not sure I'd be able to pull it off! !